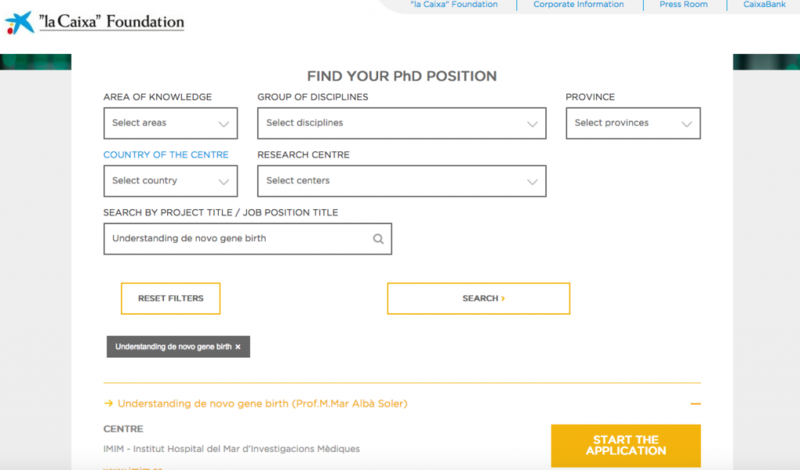 We are always accepting informal applications from outstanding predoctoral and postdoctoral candidates to pursue research on comparative genomics and evolution. Postdoctoral candidates should have a proven research record, with at least one published paper as first author. Predoctoral candidates should have an excellent academic record (average mark of at least 2.5, corresponding to second first or first class). We offer a highly stimulating research environment in a well-established international research centre (PRBB).